Published: Feb. 7, 2014 at 06:02 p.m. 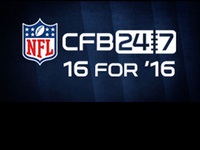 Updated: May 7, 2014 at 06:34 p.m.
College Football 24/7 takes a look at the buzz surrounding the NFC South teams leading up to the 2014 NFL Draft. The Atlanta Falcons are a year removed from having the NFC's top playoff seed. Yet, the team fell on hard times in 2013 and finds itself picking near the top of the draft. This will give a team already owning a host of playmakers an opportunity to reload for a return to the playoff chase in 2014. 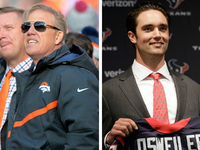 May 7: Rams, Falcons in on Robinson? When about where he might end up in the first round, the road-grader said, "Well, I think St. Louis really liked me. I've been hearing a lot of good things from them as far as when I was on my visit and when they came and worked me out, there was a lot of good things. And Atlanta, they really liked me, too." While Freeman lacks elite speed, he has good quickness and generally can turn the corner; he also has no problems running between the tackles and in 2013 became FSU's first 1,000-yard rusher since Warrick Dunn in 1996. He is solid in all facets of the game but doesn't truly stand out in any of them. Can he be an every-down back? Atlanta would seem to be in the market, with the aging Steven Jackson and specialist Jacquizz Rodgers on the roster. Where Freeman goes in the draft ultimately is going to be determined by when a run on backs begins. If the top-tier backs go in the second, Freeman likely goes in the third. At the least, he should be off the board by the end of the fourth round. Fleming left Stanford after his junior season, and NFL Media senior draft analyst Gil Brandt says Fleming has the look of "a likely 10-year starter" in the NFL. Fleming is physical, and his high-level run-blocking ability makes him a likely second-day pick. He played only right tackle for the Cardinal. Atlanta needs a talent upgrade on its line; will it make that upgrade in the first round? If it doesn't, Fleming could be a second-day target. Atlanta picks fifth in the second round (37th overall), which might be too early for Fleming, and fourth in the third round (68th overall), which might be too late. Watkins has certainly parlayed his 4.41 40-yard dash time at the NFL Scouting Combine into a busy pre-draft schedule. The half brother of Clemson star Sammy Watkins has reportedly visited the Washington Redskins, Atlanta Falcons and Philadelphia Eagles, and performed private workouts for the New England Patriots and Carolina Panthers. Watkins has experience at both cornerback and safety, and projects as a mid-round draft pick. The Falcons used what they called a "cutting-edge athletic performance program" Friday on Clowney. That Clowney is doing the test for the Falcons, who own the sixth pick in the draft, has led to speculation that Atlanta wants to acquire the No. 1 overall pick from Houston. Patton played in the Reese's Senior Bowl, but was not invited to the NFL Scouting Combine. He played in a horrible passing offense at Florida, but showed an ability to be dangerous with the ball in his hands; he also did a nice job on jet sweeps and has the potential to be a solid return man. He seems likely to be a sixth-rounder, at best, and could end up as a priority free agent. He would be a nice fit in the slot for the Falcons. Ellington (5-foot-9, 197 pounds), who has good speed and is elusive, looks to be a second-day pick. He would be an intriguing fit with the Falcons, who already have WRs Julio Jones and Roddy White. Falcons QB Matt Ryan likely would smile when he looked out and saw Jones and White wide and Ellington in the slot (that's also a look that would make some secondaries cringe). Ellington was a weapon on jet sweeps in college and has the ability to be a dangerous return man. 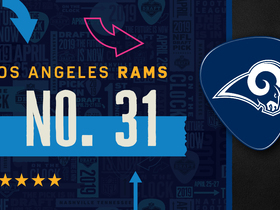 Atlanta picks fifth (37th overall) in the second round, but that's too early for Ellington; the Falcons pick fourth (68th overall) in the third round and Ellington certainly could entice them there. Smallwood (6-foot-2¼, 246 pounds) was a productive player at UConn, finishing his three-year career -- each of which was played for a different coordinator -- with 332 tackles and 27 tackles for loss; he started every game in his career. While Atlanta has some young linebackers who played key roles in 2013, Smallwood -- who seems likely to go on the draft's third day, though a third-round selection is possible -- would seem to be a good fit in Atlanta's system. He played in the middle at UConn but looks to have the needed tools to be a weak-side 'backer in the NFL. Ford (6-foot-2, 252 pounds) was part of a large contingent of top prospects visiting with the Falcons on Tuesday. Ford is a one-trick pony of sorts, but that one "trick" is his pass-rushing ability. Ford had 10.5 sacks in 2013 and 20.5 in his career. While he was an end at Auburn, he could be a 3-4 outside linebacker. He is seen as fitting late in the first round or early in the second. Atlanta is not going to be interested with its No. 6 overall pick, but definitely could be with its pick in the second round (37th overall). They might have to trade up if they really want him, though. The Falcons will host defensive end Jadeveon Clowney, linebackers Khalil Mack and Anthony Barr, and offensive linemen Greg Robinson and Jake Matthews -- a group which could ultimately make up half of the draft's top 10 picks -- NFL Media insider Ian Rapoport reported via Twitter. Hyde (6-foot, 230 pounds) has a chance to be the first running back drafted. But how early will he go? Atlanta is not going to be interested in the first round, and the Falcons draft fifth (37th overall) in the second round. Hyde worked out for the Falcons last week and will meet with them this week, so there obviously is some interest. Hyde has had success in a one-back offense, and despite being at his best running between the tackles, he also has enough speed to turn the corner. He is a physical, downhill runner who has shown he can handle a heavy workload. His receiving ability looks OK, and he is a good blocker. Amaro (6-foot-5, 265 pounds) is considered one of the top three tight ends in the draft. Despite his size, he is a far better receiver than blocker; he had 106 receptions in 2013, his first season as a full-time player. He spent most of his time split wide and rarely played in a set that used a "conventional" tight end. In the aftermath of the Tony Gonzalez retirement, the Falcons signed TE John Carlson in free agency but definitely could be interested in Amaro with the fifth pick in the second round. Lawson (5-foot-9½, 190 pounds), who was born in Jamaica and went to high school in Fort Lauderdale, Fla., lacks size but is quick, has good speed (4.48 in the 40 at February's NFL Scouting Combine) and plays with a fearless attitude. He was a three-year starter for the Aggies who had six interceptions and 34 pass breakups in his career. He also is physical and more than willing in run support. He appears to be a mid-round selection and could fit in as a backup behind starting corners Robert Alford and Desmond Trufant, both of whom were drafted in 2013. Atlanta also signed CB Josh Wilson in free agency. Jones is an interesting prospect, albeit one who is far from finished. While he was a wide receiver at ECU, he fits best as a tight end in the NFL. Plus, he didn't play last season for the Pirates because he was ineligible academically. Never a full-time starter, Jones (6-foot-8, 277 pounds) nevertheless is an intriguing prospect because of his size and athleticism. His vertical jump has been measured at 37.5 inches, and he also bench-pressed 400 pounds. But all that potential never really translated to the field: He finished his ECU career with 52 receptions for 598 yards and 12 TDs in 32 games. It seems doubtful he will be drafted, but a team could take a late-round flier on him because of his perceived upside; he also could be a priority free agent. Watts (6-foot-2, 225 pounds) didn't attend February's NFL Scouting Combine but was clocked in 4.41 seconds at Georgia Tech's pro day. Watts was a two-year starter for the Jackets, who used both a 4-3 and a 3-4 set when he was in school. He probably fits best as an outside 'backer in a 4-3. He will work out for Atlanta on Tuesday and already has had private workouts with San Diego and New England. Watts would seem to be a priority free agent, but his athleticism and versatility could lead to him sneaking into the sixth or seventh round. He made 143 tackles, including 12 tackles for loss, in his final two seasons for the Yellow Jackets. Atlanta is on the lookout for a pass rusher and could be interested in Bradford (6-foot-1, 250 pounds), who had a combined 20 sacks in 2012 and '13. His pass-rush skills make him a somewhat coveted prospect who should go on the second day of the draft. The Falcons pick fifth in the second round (37th overall), which is too early for Bradford; they pick fourth in the third round (68th overall), which seems to be more in line with conventional thinking. Bradford also has met with Jacksonville, Miami and San Diego. The Chargers pick 25th in the second round (57th overall), which also makes sense for Bradford. Bradford has a connection with Jaguars RB Toby Gerhart: Bradford was coached at Norco (Calif.) High by Gerhart's dad. Verrett is in the middle of an NFC South swing of visits. According to NFL Media insider Ian Rapoport, the former TCU corner, rated fifth at his position in NFL Media draft analyst Mike Mayock's rankings, stopped by the Panthers and visited the Falcons on Friday. He also made a recent visit to the Cardinals too. The Atlanta Falcons' interest in a pass rusher for next month's draft is extending to Lawrence, as the 6-3, 251-pounder is reportedly visiting the club. Lawrence was the top pass rusher in the Mountain West Conference last year, and could give Atlanta some much-needed pressure on opposing quarterbacks. According to NFL.com's scouting report on Lawrence, he "should contribute readily on passing downs." Van Noy (6-foot-3, 243 pounds) is seen as a likely second-round pick; he also could fit late in the first round. He had 23 sacks and 54 tackles for loss in his final three seasons at BYU. Van Noy played in a 3-4 defense with the Cougars and would fit nicely into Atlanta's 3-4; the Falcons -- who signed Osi Umenyiora in free agency -- could use a young playmaking outside 'backer. Atlanta picks fifth in the second round. Falcons GM Thomas Dimitroff clearly wasn't sending out a smokescreen earlier this offseason when he spoke of his team's need to add more size and toughness at the line of scrimmage. 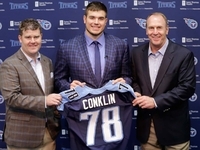 What's less clear is whether Dimitroff considers that need satisfied yet, and with the team conducting a private workout Monday with former Michigan offensive tackle Taylor Lewan, the answer might be no. The Falcons held a private workout March 29 with Thomas, according to the National Football Post. A projected second-day draft pick (Rounds 2-3), Thomas has rare speed and could be a big-time playmaker as a back, slot receiver and kick returner in the NFL. He lacks size, though. At 5-foot-9 and 174 pounds, his durability is a concern. Fiedorowicz was worked out by Bengals tight ends coach Jonathan Hayes at Iowa's pro day, but will perform private workouts on the Iowa campus for the Cowboys and Texans. He has scheduled visits in the coming weeks with the Buccaneers, Falcons, Lions and Patriots, too. Conventional wisdom has the tackle-needy Falcons grabbing an offensive tackle with the No. 6 pick in May's draft. But the top of the first round seems more fluid than usual for this time of the year. Atlanta worked out Charles Leno Jr.. If the Falcons are impressed enough with Leno or Nevada OT Joel Bitonio, it's extremely likely both would be available early in the second round, and that could potentially enable the Falcons to go a different route in the first round. While mock drafts have the Falcons filling a need at offensive tackle with the sixth overall pick, they are likely to have a chance to take Ebron, the top tight end in the draft, with that pick. Ebron told sportingnews.com he wouldn't be intimidated by the challenge of replacing surefire Hall of Famer Tony Gonzalez, who retired after last season. "I would love to play for the Falcons," Ebron said, per the report. "Julio Jones, Roddy White and Matt Ryan -- I would love to play with those guys. Those are big shoes to fill, which I'm not afraid of. I can't walk into the league expecting to be Tony G. I'm just going to compete as hard as I can as myself." The Panthers feature a lights-out defense, so building around Cam Newton will be a priority this offseason. 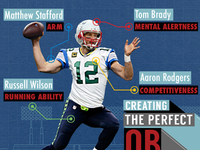 An explosive wide receiver would make the talented quarterback happy. Offensive line also figures to be an area of focus. The Eagles, Panthers and Ravens have shown the most pre-draft interest in Latimer, one of the NFL draft's fastest risers, the wide receiver said. But it took a dazzling pro-day performance to spark Latimer's late surge as one of the draft's top prospects. If any of those teams want Latimer, they ought not wait too long. In a draft pool that has been lauded for its depth at the receiver position, however, Latimer has managed to climb the ladder quickly in a short period of time. That the Panthers would be interested in Robinson (6-foot-3, 220 pounds) makes sense; Carolina seems likely to select at least two wide receivers in this draft. How interested is the question. The Panthers pick 28th in the first round, and conventional wisdom is that is too high for Robinson, who led the Big Ten in receptions in each of the past two seasons. But as deep as this draft is in receivers, it seems unlikely Robinson would be there for the Panthers' second-round pick, which is 60th overall. Robinson lacks elite speed, but he has everything else that is needed to be a go-to receiver, including a 39-inch vertical jump (that's getting up there for a guy who is 6-3). Verrett is the shortest of the top five corners, but he says he would be a good fit in the Panthers' version of the Cover 2. "I understand their defense and their scheme and places where I would fit, whether it's in the nickel or even on the outside," Verrett, who has visited with the Panthers, told the Charlotte Observer. Verrett has been invited to attend the draft and is a possibility for the Panthers at the No. 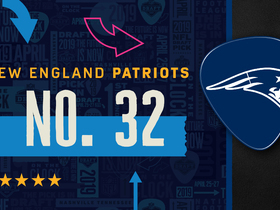 28 pick. But wide receiver is a much bigger position of need for Carolina than cornerback. Brown (led the Buckeyes in receiving in each of the past two seasons, but in a deep draft of receivers, he seems to be a late-round pick at best. He has OK speed (4.51 in the 40 at the combine), but is raw as a route-runner and isn't physical. He has return abilities, and that is a positive that could lead him to being a late-round pick. The Panthers need to come out of this draft with two or three new receivers, and could be interested late. Richardson is considered one of the better deep threats in this draft, and the Panthers certainly could use a guy who can stretch the field. Actually, the Panthers can use guys who simply can catch. Richardson's lack of bulk is an issue for some; in addition, he suffered a torn ACL in 2012. This is a deep draft for receivers, and there doesn't appear to be all that much difference between guys who will be drafted in the second round and those who will go in the fourth and fifth rounds. Would the Panthers target Richardson in the second round? They pick 28th in the round (60th overall), which would be in line with where Richardson is expected to go. Adams (6-foot-1, 212 pounds) reportedly has met twice with the Panthers, who might need wide receivers -- accent on the "s" -- more than any team in this draft. Adams was Derek Carr's favorite receiver at Fresno State; in his two seasons at Fresno, Adams -- who left school after his redshirt sophomore season -- had 233 receptions (and 38 TDs), including a nation's leading 131 catches in 2013. He is an excellent athlete who lacks elite speed; he also should be more physical than he is, given his size. Still, he is a solid prospect in a draft that has a lot of those at wide receiver. The Panthers pick 28th in the first round, which is too early for Adams. But Carolina doesn't pick again until 28th in the second round (60th overall), and chances are he could be gone by then. Kouandjio, a potential first-round pick, worked out for the Panthers and Bucs, NFL Media senior analyst Gil Brandt reported, via Twitter. The former Alabama standout has visits/workouts scheduled with seven teams. Despite concerns about Kouandjio's surgically repaired knee that were first reported upon his medical evaluation at the NFL Scouting Combine, Brandt reported Kouandjio will not have to go back to Indianapolis for a medical re-check. Carolina wide receiver coach Ricky Proehl was in Tallahassee, Fla., on Wednesday, presumably to work out Benjamin (6-foot-5, 240 pounds). The Panthers are in desperate need of wide receivers, and Benjamin certainly would have some appeal to them with the 28th pick. While Benjamin lacked consistency and focus for much of his career at FSU, he became a huge weapon -- literally and figuratively -- in the second half of the 2013 season. He is a matchup nightmare because of his size and certainly wouldn't mind developing into a "Baby Megatron." The Panthers likely will have two or three of the draft's top receivers to choose from at No. 28, if they choose to go that route. The Panthers are in dire need of wide receivers and Beckham is one of the best available in this draft. But will he be there at No. 28, when they make their first-round pick? That seems doubtful. The Panthers also worked out Jarvis Landry, who was Beckham's LSU teammate. (Landry had 133 catches to Beckham's 102 and had 15 TD receptions to Beckham's 10 the past two seasons. But Beckham had more yardage -- 1,865 to 1,766). Landry's lack of speed is an issue; he was clocked in 4.77 seconds in the 40 at the combine and was clocked in 4.60 and 4.63 at LSU's pro day. Landry could be a nice third-round pick for the Panthers, even if they nab a receiver in the first round. Carolina desperately needs wide receivers, and Lee is one of the top five available. The Panthers pick 28th in the first round, and their problem could be that the wide receivers they are targeting could be off the board by the time they pick (Lee, Oregon State's Brandin Cooks and LSU's Odell Beckham would seem to be the second-tier group of receivers, behind Sammy Watkins and Mike Evans). Lee, who has the potential to develop into a No. 1 receiver, also said he will be visiting with the New Orleans Saints, who have far greater needs than a wide receiver in the first round. The Panthers worked Ealy out on the Missouri campus, NFL Media senior analyst Gil Brandt reported on Twitter. Ealy is the second-rated defensive end on NFL Media draft analyst Mike Mayock's rankings. Norwood wrote in a draft diary for USA TODAY Sports that he had a workout with the Panthers the day after Alabama's pro day. In what is a deep draft for receivers, Norwood figures to be a late-round pick, but could add much-needed depth to the Panthers' depleted wide receiver corps. Cooks told College Football 24/7 that he is scheduled to visit the Panthers, who recently lost wide receivers Steve Smith and Brandon LaFell to free agency. If the Panthers are looking for someone to replace Smith, Cooks would appear to be a great match. Not only does NFL Media analyst Bucky Brooks believe Smith is the best NFL comparison for Cooks, Cooks said he tries to model his game after him. The Panthers' No. 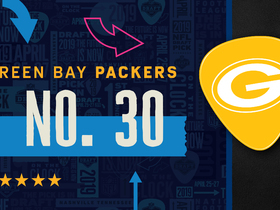 28 pick also fits Cooks' mid- to late-first-round draft projection. Desir is vying to be the first draft pick in Lindenwood history. NFL Media draft analyst Gil Brandt noted that he worked with Panthers secondary coach Steve Wilks at Lindenwood's pro day, then worked out privately for Carolina at day later. Desir was clocked in 4.59 seconds in the 40 at the combine and as fast as 4.52 on his pro day. Desir is raw, but his size makes him an intriguing prospect, likely taken in the third or fourth round. Moses will visit Wednesday with the Carolina Panthers as the first of nine scheduled meetings with NFL clubs. 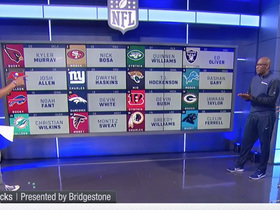 NFL Media analyst Bucky Brooks projects Moses to be picked by those very Panthers with the No. 28 pick in his latest mock draft. Offensive line is the Panthers' biggest draft area of need, according to NFL Media analyst Daniel Jeremiah. The Panthers got a good look at Campanaro and other Demon Deacon draft prospects at Wake Forest's pro day. Campanaro projects as a slot receiver in the NFL. The Panthers, meanwhile, lost Steve Smith and Ted Ginn in free agency and are on the lookout for pass-catching talent. Feb. 24: Backup option for Newton? Cam Newton is one of only nine quarterbacks to start every game since 2011, but that doesn't mean the Panthers can't consider having a solid fallback option on the depth chart (Newton's current backup is journeyman Derek Anderson). Boyd told reporters at the NFL Scouting Combine that the Panthers were one of 20 teams he talked to, ESPN.com reported. Defensive coordinator Rob Ryan dramatically improved the Saints defense in 2013, but work still needs to be done from a personnel perspective. After the team selected safety Kenny Vaccaro in the first round last year, look for the team to look toward cornerback in 2013. Offensive line and linebacker also figure to be positions where the Saints will look for new talent. Smith (6-foot-3, 218 pounds) was the leading tackler for the national-champion Seminoles, and while he lacks bulk, he has excellent speed (4.52 in the 40 at the combine) and makes a lot of big plays (30 career tackles for loss) for FSU. Smith was a full-time starter for the first time in 2013 and has played both inside and outside linebacker. He has the potential to be a three-down outside linebacker in the NFL, though his lack of bulk could be troublesome against power-running teams. The Saints use a 3-4 set and Smith played in a 4-3 at FSU. How he would fit in a 3-4 is an unknown. Martin (6-foot-3, 320 pounds) reportedly worked out for the Saints earlier this week, leading to speculation that the team could be targeting him late in the first round. New Orleans is in the market for a center after losing starter Brian De La Puente to the Chicago Bears in free agency. Martin is NFL Media analyst Mike Mayock's top-rated center in the draft. Representatives from 20 NFL teams -- including the quarterback coaches from the Jaguars, Chiefs, Saints and Rams, the head coach (Gus Bradley) and general manager (David Caldwell) of the Jacksonville Jaguars, and St. Louis Rams director of player personnel Taylor Morton -- were present for Georgia's pro day. NFL Media senior analyst Gil Brandt says that Murray could go as high as the second round if there's a run on quarterbacks. Gilbert (6-foot-0½, 202 pounds) generally is considered the top cornerback in the draft, which makes his visit with the Saints somewhat puzzling. Not that the Saints wouldn't be interested, but they don't pick until No. 27 -- and conventional wisdom is that Gilbert will be long gone by then. New Orleans always could move up if it truly covets Gilbert. If the Saints remains at No. 27, a pass rusher also should appeal to them, and if they want to grab a corner, there should be one or two of the top five available -- just not Gilbert. Herron could intrigue the Saints, as who doesn't need a speedy receiver who can get deep? Herron, who is effective on wide receiver screens, also has the ability to play in the slot. Herron emerged as a playmaker as a senior, when he had nine TD catches. He would seem to be a third- or fourth-round selection in a deep draft for receivers. While Herron isn't going to be a No. 1 receiver in the NFL, he could become a solid complementary guy. A receivers coach from the Saints put Brown through positional drills at Pittsburg State's pro day. Brown is the type of prospect an NFL team will take a chance on in the later rounds if they have an extra selection, NFL Media senior analyst Gil Brandt said. Linebacker/defensive end Ronald Powell, tight end Trey Burton and cornerbacks Loucheiz Purifoy and Marcus Roberson were among the players who participated at Florida's pro day with Saints defensive coordinator Rob Ryan looking on. NFL Media analyst Daniel Jeremiah lists cornerback as one of the Saints' top draft needs, so Purifoy and Roberson might be of interest to New Orleans. With the Saints expected to part ways with Darren Sproles, there's a void to fill in the New Orleans backfield, and Daniel Jeremiah said there might be a perfect replacement for the taking in this year's draft. "I look at Devonta Freeman out of Florida State. He can catch the ball out of the backfield, you can plug him into some middle routes and put him in that role," Jeremiah said. If the Saints decide to shore up their pass rush, Jeremiah said Boise State's Demarcus Lawrence would fit very nicely in Rob Ryan's defense as an edge rusher. On a conference call with reporters, NFL Media draft analyst Mike Mayock broke down the Saints' options at pick No. 27 in the first round of the draft, saying, "So at 27, it's just a matter of being nimble, trying to find who is the best offensive lineman left, with some of the guards, might make some sense, like the (David) Yankey kid from Stanford." The Tampa Bay Buccaneers will be on their third coach in four years after the hiring of former Chicago Bears coach Lovie Smith. A pass rusher and offensive line appear to be the most pressing needs for the team. The Buccaneers will not consider Manziel's off-field behavior in its evaluation, and will give heavy consideration to making him the No. 7 overall pick of the NFL draft next week. That is, if he's even available. Jensen is a big guy who has been a tight end for just three years; he arrived at Fresno State as a 220-pound defensive end. Jensen caught 48 passes in his Bulldogs career and obviously still is learning the nuances of the position. He ran just a 4.84 40 at Fresno State's pro day (he was at 4.85 at the combine), and his lack of speed hurts. But he has excellent size (his wingspan is almost 84 inches), and he is expected to go late in the draft. Turner surprised some by turning pro, but he is NFL Media draft analyst Mike Mayock's No. 3 guard in this draft and seems a certainty to go on the second day. How early on the second day is the question. Turner turned in a 4.93 clocking in the 40 at the combine. Turner likely will be expected to start as a rookie and the Bucs definitely need guards -- and that's plural. Would they grab him with their second-round pick (No. 38th overall)? That may be too early, but he could be gone by the time they make their third-round selection (69th overall). Bryant (6-foot-4, 211 pounds) has excellent size and ran a 4.42 40 at the combine -- faster than more celebrated teammate Sammy Watkins' 4.43. But unlike Watkins, Bryant is far from a finished product; you're drafting him more on potential than production. He did play well in the second half of the 2013 season, then turned pro a year early. Bryant's size/speed mix makes him a potential second-round pick, but "safer" receiver picks could be had in the second round -- and in the third round. The Bucs need to upgrade their receiving corps and likely are intrigued by Bryant. If the Bucs don't select a receiver in the first round, grabbing one in the second or third makes sense; they own the sixth pick in the second round (38th overall) and the fifth pick in the third round (69th overall). Tampa Bay doesn't have a fourth-round pick and no way does Bryant fall into the fifth round. Halapio (6-foot-3 1/2, 323 pounds) is a mauler in the running game but had issues as a pass blocker throughout his career with the Gators. He recently competed at the Bucs' workout for local prospects and told foxsports.com the club came away impressed. Tampa Bay needs depth at guard and could be intrigued enough by Halapio's run-blocking skills to take him on the third day. Newsome (6-foot-3, 247 pounds) has some pass-rush skills and seems extremely likely to move to outside linebacker in the NFL. He began his career at Ohio State after starring at prep powerhouse Cleveland Glenville. Newsome, who had 16.5 sacks in two seasons at Ball State, appears to be a third-day pick and could be a Bucs target in the seventh round because of his pass-rushing ability; Tampa Bay doesn't have a sixth-round selection. Wilder Jr. (6-foot-3, 232 pounds), the son of James Wilder, one of the best players in Bucs history, worked out for the team Friday. While he has excellent measurables and is a good athlete, he is likely to be a third-day pick at best. He wasn't very productive in college and is a half-step slow. In addition, it seems unlikely that he would interest the Bucs, who are deep at running back, unless they think he can become a fullback. Kouandjio confirmed at his pro day that a private workout with the Buccaneers as the next on his schedule. The offensive tackle said the health of his knee, which came under question at the NFL Scouting Combine, is fine. And at 322 pounds, the results of his training showed. Fiedorowicz might be at the top of the group of the second-tier tight ends. He was underutilized at Iowa, but he has excellent size, good hands, has shown an ability to get deep and can be a physical blocker. Tampa Bay signed free-agent TE Brandon Myers last month but still could use another "dual-threat guy" (blocker and receiver) at the position. Fiedorowicz seems likely to go in the third or fourth round; the Bucs pick fifth in the third round but don't have a fourth-round selection. The Buccaneers are hosting Bridgewater, according to NFL Media insider Ian Rapoport, and the star passer has already visited most of the teams pick in the top 10 of the NFL draft. The Bucs are among several teams with an early pick who could be in the market for a first-round quarterback. The Bucs have a bigger need at wide receiver after they traded Mike Williams to the Buffalo Bills, and with the No. 7 pick, they could target the top two WR prospects, Sammy Watkins and Mike Evans. Watkins is not expected to be on the board for the Bucs, but Evans' combination of size and speed would make him an intriguing option to pair with Vincent Jackson. NFL Media analyst Daniel Jeremiah currently lists the Bucs' top three draft needs as offensive tackle, guard and cornerback. Ford has visits scheduled with the Buccaneers, as well as the New England Patriots. If Ford is drafted in the first-round range as expected by draft experts, it's tough to imagine the pass-rushing standout landing with at least one of them in the 2014 NFL Draft. The Bucs already have an All-Pro linebacker in Lavonte David, but NFL Media analyst Charles Davis doesn't see why the team couldn't pair him with Buffalo's Khalil Mack to form an explosive OLB duo. NFL Media analysts Mike Mayock and Daniel Jeremiah believe the Bucs' priority will be to draft a pass rusher off the edge, and Davis believes Mack can fit that role. Mayock believes the Bucs should aim to draft Mack or an offensive tackle with the No. 7 pick.